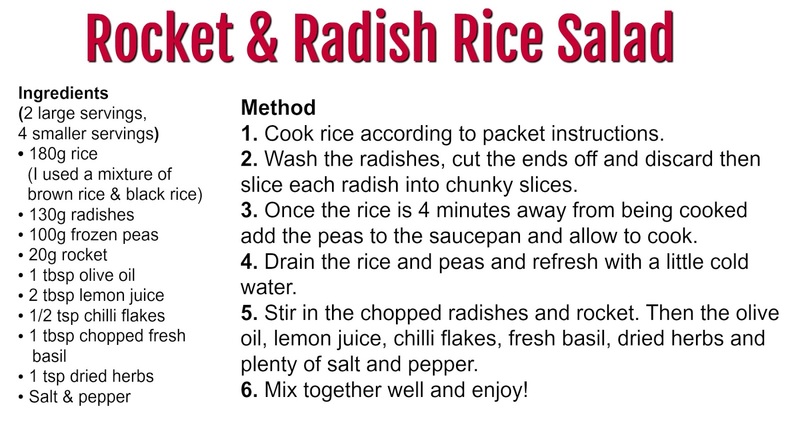 My new favourite salad is this delicious and nutritious rocket & radish rice salad. It's so full of delicious, fresh flavours as well as a variety of textures and colours. It's wonderfully satisfying, easy to make and is a great meal-prep recipe as will last a few days in the fridge! I find healthy lunch options the most difficult to come up with and easily get bored of standard salads, but this rice salad is different. 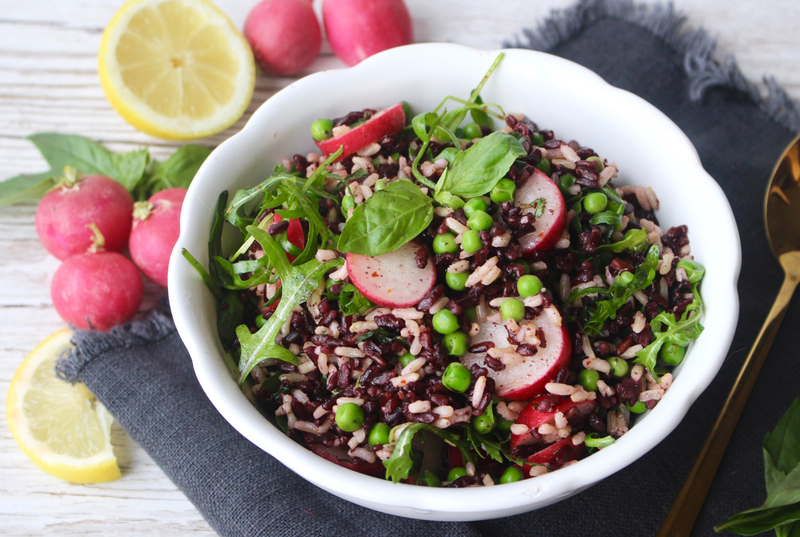 The rice makes this a substantial and hearty dish, the peas, radish and rocket add a wealth of abundance and the dressing - a mixture of olive oil, lemon juice, chilli flakes and herbs is simple yet scrumptious and pairs perfectly with all the salad ingredients. 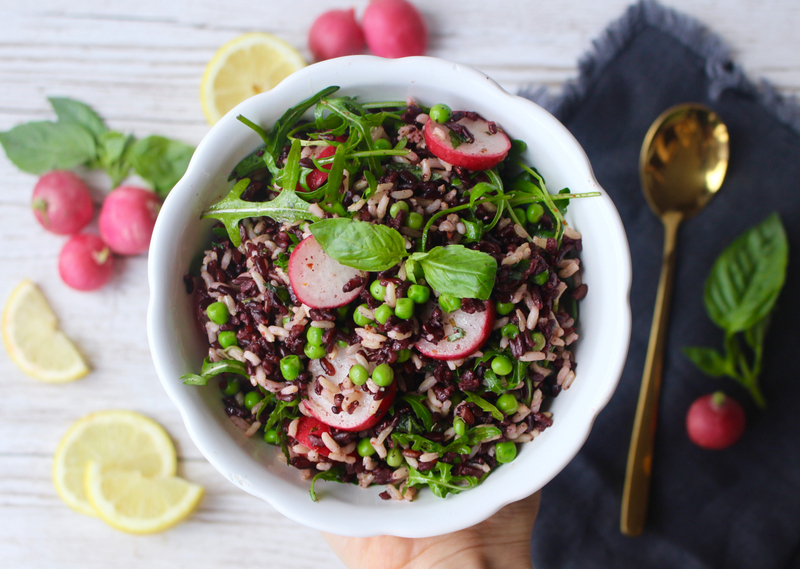 As it's only the rice and peas that need cooking this salad is also extremely easy to make - I like to prepare it either in the morning or the night before so I've got lunch sorted for the next few days! Just keep in the fridge and dish up when you're hungry!